Watermelon baskets are pretty and easy to make. They are pretty expensive at the store. Last time I looked, they could run anywhere from $30-$50. But you can make it all by yourself! And who says it has to be Halloween to carve something? Tips: Use a pencil on the watermelon and only on one that is room temperature. Once the melon gets cold it will not adhere to anything but permanent marker. 1. Find a watermelon that is the size you need for your party (medium small works well for 6-10 people) and make sure it is symmetrical. The one I chose I did not intend on making into a basket. But we were asked to a BBQ and there you go! 2. 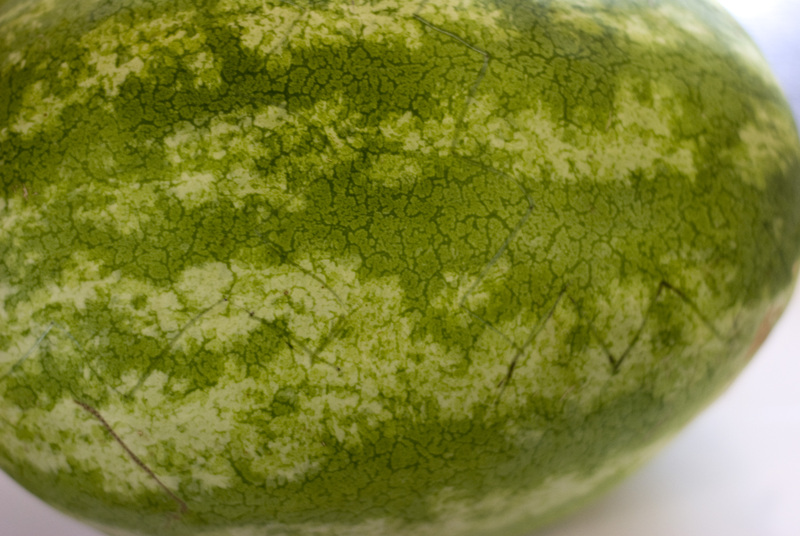 Draw the zig zags on the melon as shown. Make them wide and don’t expect to follow them 100% of the time. 2. Cut on the zig zags using a regular steak knife. Be careful around the handle as this piece is the most fragile. 3. 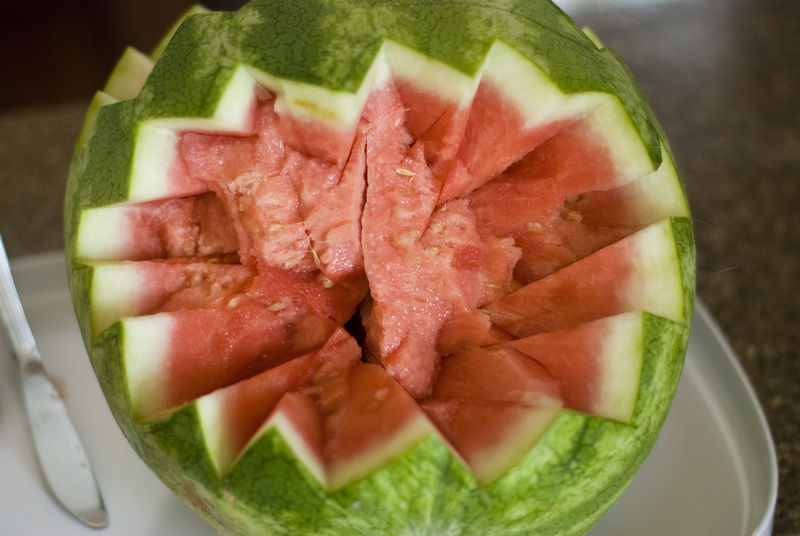 Using a butterknife or some flat utensil, pry up each section that you cut out of the watermelon. 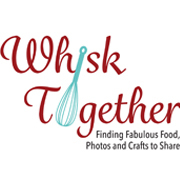 It will take a little wiggling, but it will eventually work itself out. 4. Have a very large or several medium containers handy. Scoop out the watermelon using a melon baller or large spoon. Remember to just scoop a bunch and leave it in there instead of scooping each little ball out one by one. Once you have enough balls in your basket or run out of room, them scoop the whole bunch out of there. 5. Once your watermelon is cleaned, mix it up with the other fruit. Use what you have on hand or buy a few of the suggestions above. 6. 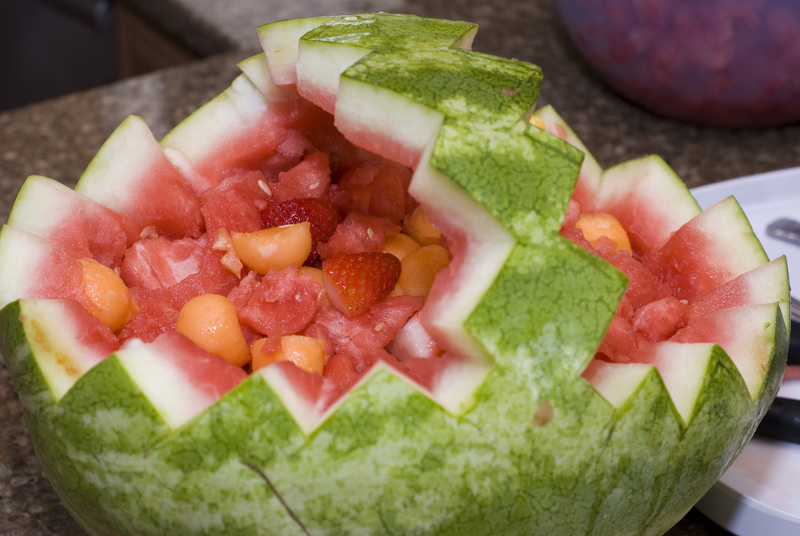 Add the fruit mix to the watermelon. You will not have room for all of it. 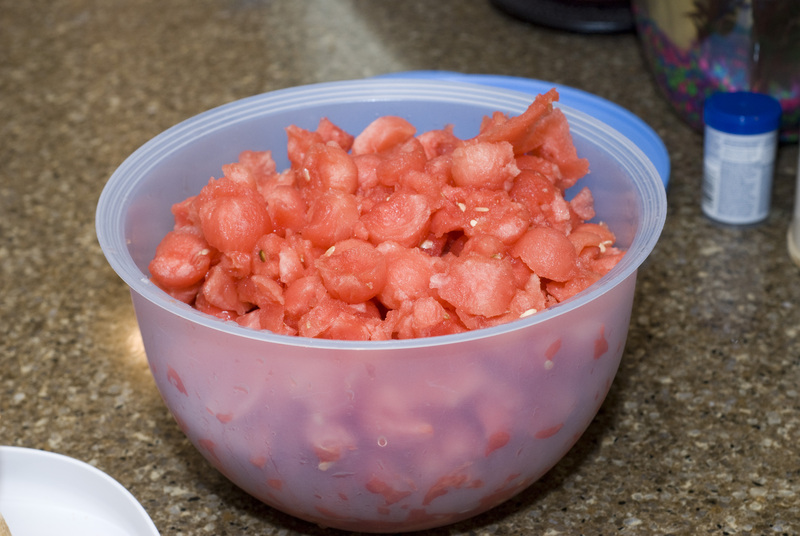 Just seal up the rest in a tupperware bowl or something sealed tight and keep until the watermelon basket gets empty and use for refills. 7. If you want to go really pretty and fancy, take a slice of orange and fold it in half in the crease (V) of the watermelon. 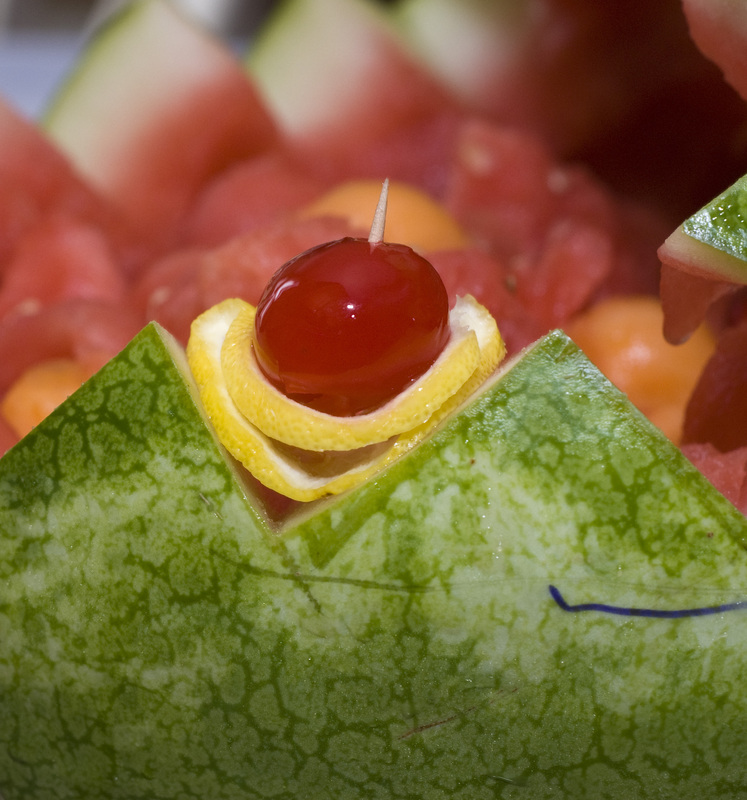 Stick a frilly toothpick through 1 cherry and secure the sliced orange to the watermelon. 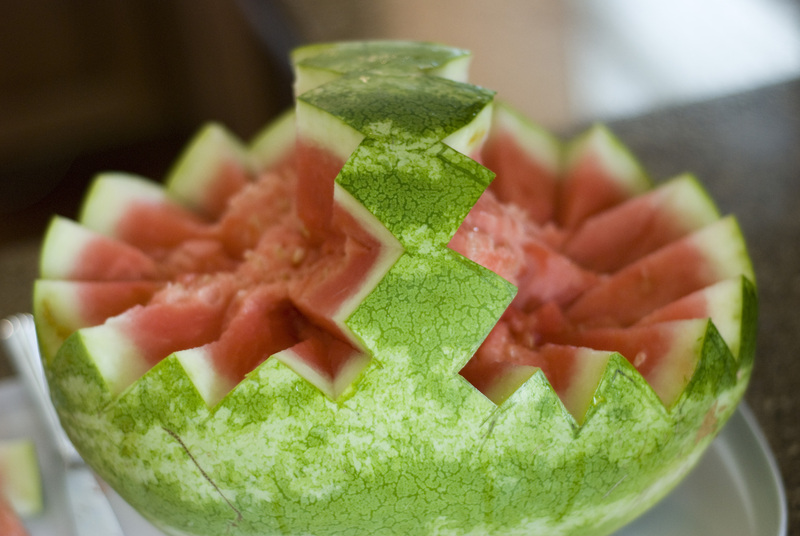 Do this to all the zig zags and you will have one fancy and pretty watermelon basket! 8. Storage: a cardboard box lined with foil is how we transported these at the store where I made them. Cover with saran wrap and store in the fridge until ready to serve.